The largest city on Turkey’s Mediterranean Coast, Antalya is the gateway to the idyllic Turkish Riviera and the Turquoise Coast. It flourished as a major Roman port, with the towering Hadrian’s Gate a lasting legacy of the Roman emperor’s visit in 130 AD. Early human remains indicate that the area of Antalya has been inhabited since prehistoric times. But it was following the death of Alexander the Great that the city of Attaleia was claimed in 159 BC by the Pergamon King Attalos II. It later fell to the Romans and became an important commercial and military port, with power being transferred back and forth between the Byzantines and the Seljuks. The modern city of Antalya was built over the remains of ancient Attaleia, but you can discover its intoxicating history in the archaeological museum in downtown Antalya. 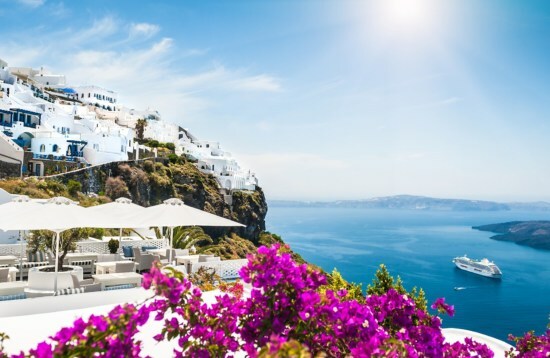 Today Antalya is renowned for its fashionable beach clubs and sun-drenched sands, wedged between the beaches of Lara to the east and Konyaalti to the west. 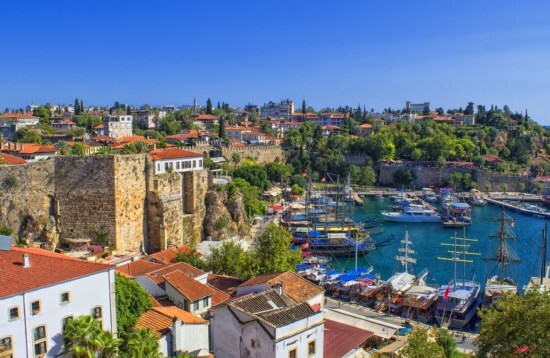 The historic old quarter of Kaleiçi lies in the heart of Antalya and is clustered with cafes and artisan boutiques where you can while away the hours at the start or end of a Blue Cruise gulet trip. Be sure to soak up the harbour views from the 2nd-century Hidirlik Tower, stretching all the way across the vast Gulf of Antalya. Venture inland to visit the charming villages of the Taurus Mountains or go trekking and horseback riding through the wildflower-filled meadows. If you’re visiting during the winter months, head to the higher ridges of the range to the powdery slopes of the Taurus ski resorts. 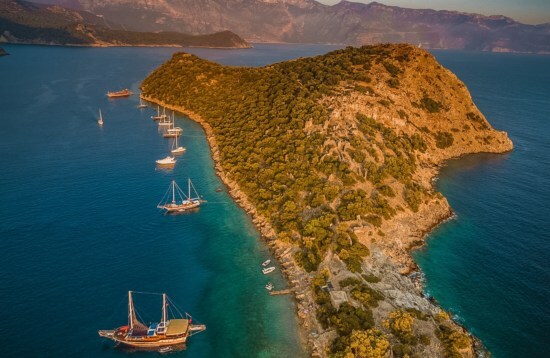 Blue Cruise gulet trips from Antalya are an idyllic way of experiencing this magnificent stretch of coast, combining stunning scenery and water activities with a vibrant history. Cruise to the sunken ruins of Kekova and the 4th-century acropolis and sarcophagi of Üçaǧız, then admire the views from the medieval Kaleköy Castle. 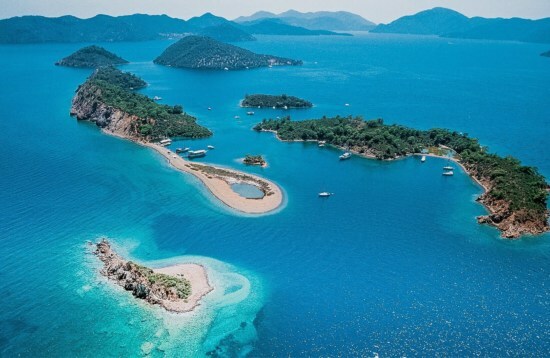 Wander the Hellenistic temples and bathhouses of ancient Olympos and explore the charismatic streets of picturesque Kaş before making a pilgrimage to the 11th-century Basilica of St. Nicholas where the figure of Santa Claus originated.